About a year and a half ago, I was on the boardwalk in Asbury Park and walked into a little shop selling various New Jersey paraphernalia. The shelves were full of baseball caps with the logo of the Stone Pony, glittery t-shirts stating “Jersey Girl,” and a whole bunch of different items with the Tillie face on them. In the middle of all these Jersey Shore beach shop standards was something different. 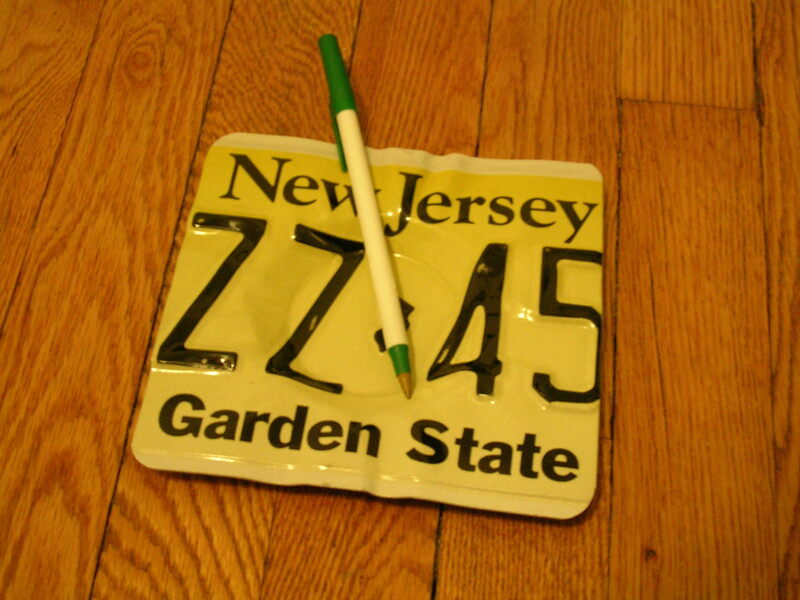 It was a piece of a New Jersey license plate that was made into an ashtray. It had a depressed, round center and grooves on the side for placing the cigarettes. I was in love at first sight. Could there a better symbol to epitomize the trashiness of the Armpit of America than a beat up New Jersey license plate transformed into a receptacle for cigarette butts? I think not. 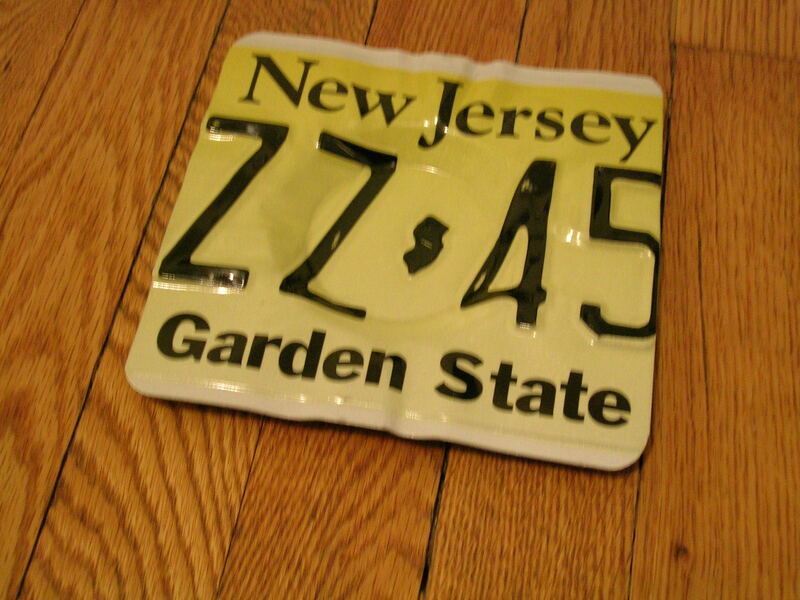 The very act of smashing a lit cigarette into the heart of New Jersey’s iconic pale yellow plate is a metaphor for something I’m not quite sure of myself. And the image of a pile of ashes right next to the words “Garden State” is such an irony that even Alanis Morissette wouldn’t know what to do with it. 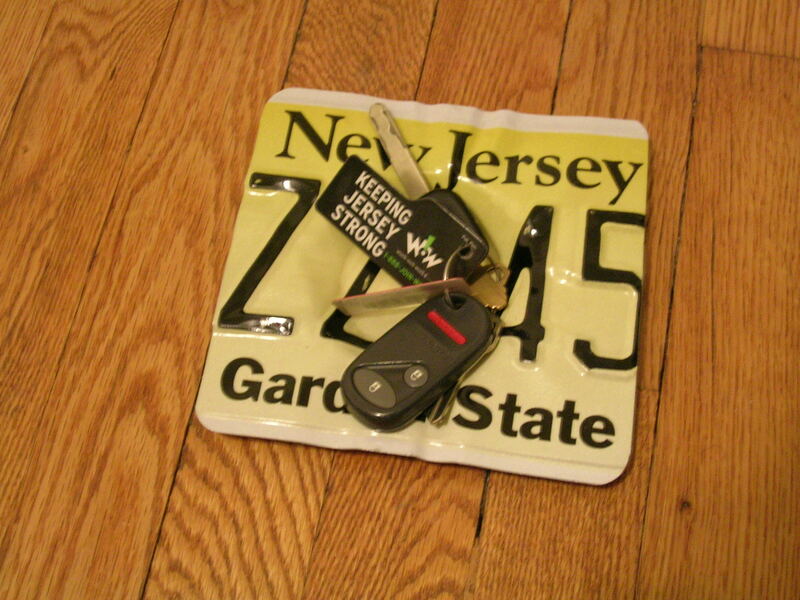 Despite the philosophical issues that a stupid New Jersey license plate ashtray provides, I didn’t buy it. For one, the price was a little too steep for my liking. Especially since, (reason #2) I don’t smoke. Thirdly, I was honestly too embarrassed to bring the item to the register. Even though the store was staffed by two emo freaks with those nasty plugs in their ear lobes, I would have felt like a misfit spending $40 on a discarded piece of metal banged up until it vaguely resembled an ashtray. So I left that shop empty handed. And I have regretted the decision ever since. Fast-forward to a couple months ago. I found myself back in Asbury Park on a mission. I was going to buy the license plate ashtray. Running past hoards of the homosexual yuppie hipsters that have now taken over and enormously improved Asbury Park, I made my way to that beach shop. I was shocked with what I found. The whole shop was gone. Along with it, my dreams of putting out imaginary cigarettes on a New Jersey license plate. Is that not a thing of beauty? The golden yellow color is reminiscent of the sun setting over Newark Bay. It also makes one think of the teeth of a cashier at Wawa. Or the urine-soaked pants of a hobo on the streets of Jersey City. 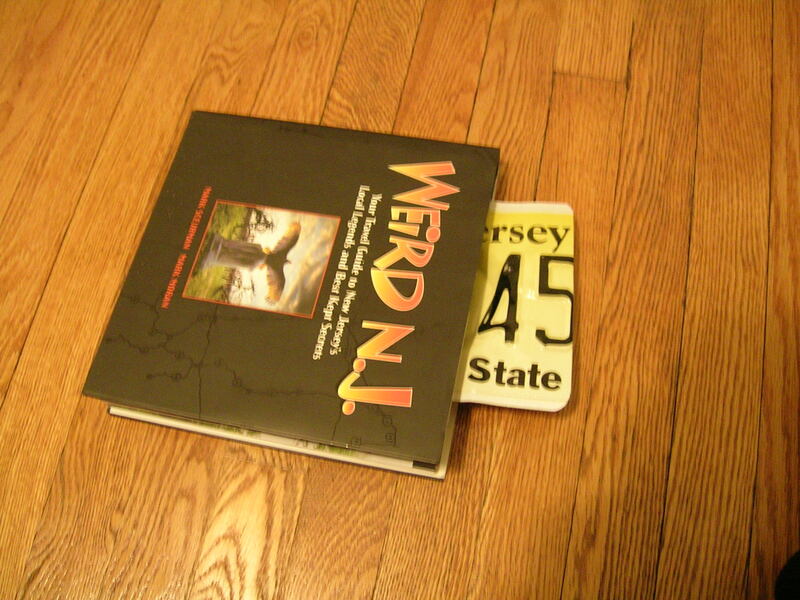 All in all, the essence of New Jersey. So now that I have this thing, what in the world can I do with it? Taking up smoking is clearly an option. But I figure it would take days, maybe even weeks to get addicted. 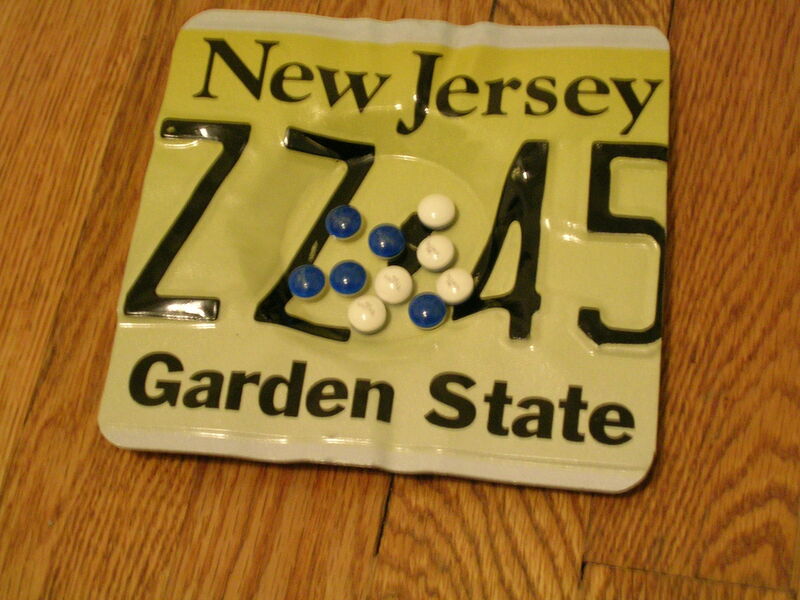 I need a more immediate use for my New Jersey license plate ashtray. So in the last picture, those are actually Tylenol PMs, since I don’t have any candy. But you get the idea. 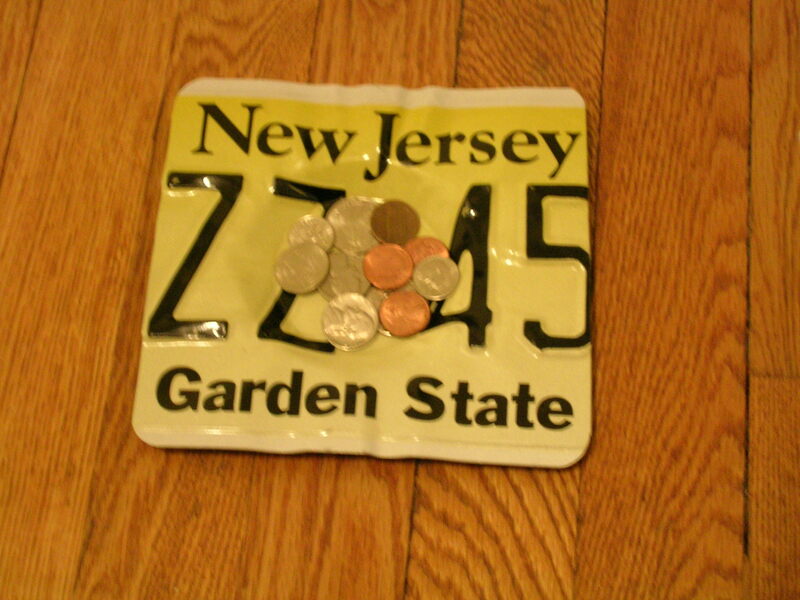 What do you think I should do with my new New Jersey license plate ashtray??? This entry was posted on November 21, 2009 at 9:01 am and is filed under Personal, Random. You can subscribe via RSS 2.0 feed to this post's comments. you could use it for CANDY cigarettes! another NJ favorite i’m sure. I want to set the record straight about the Jersey Shore. Since these MTV people invaded our shores, it has put such a bad light on New Jersey. I am so very sad, as I was born and raised at the Jersey Shore. I can honestly tell you that parts, (that the guidos and tourists know nothing about) are absolutely beautiful and pristeen. There are bays, rivers, streams, camping, canoeing, tubing, and clean beaches which we and our children have beautiful memories from. “Sleazside”. We let our teens work on the boardwalk and saw so much human garbage there, we pulled them out, never letting them work there again. The things we’ve seen, made the quidos and quidettes look like choir singers. Trust me, 90% of the people that spend the summers there are not Jersey Shore residents. First there is no room to breathe, and 2nd, we cannot afford the crappy $5.00 hot dogs $10.00 drinks and $15.00 a day parking. Who needs it! They come from North Jersey and out of state looking for a good time and not care what or who they hurt to get it. Yeah, lets pee on this guys lawn, ah throw the beer can anywhere we don’t care! Not to mention the rise in crime. We relish mid September to reclaim our beaches again until another dreaded summer comes. Thanks tourists. I admit,I would never live in the large cities of New Jersey as I said before most of them are transplants and bring their garbage with them making the Garden State the reputation it has. But if you go to some of the small towns with good hard working people who love to fish and crab and boat, canoe, and tend their famous Jersey tomatoes and corn on their day off, and with our hometown parades with flags flying, you would see just how beautiful small town America can be. No it’s not corny, it’s true. And I’m proud of that. 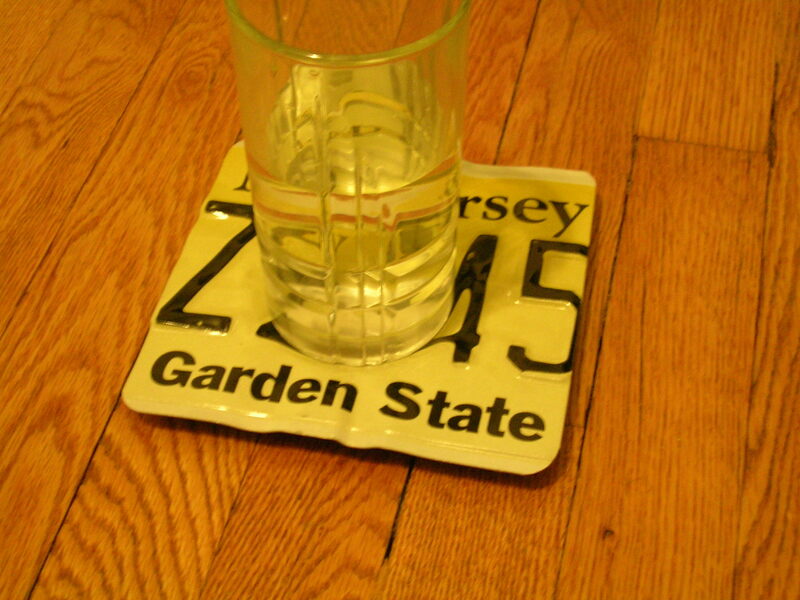 So take your prized NJ license plate ashtray and enjoy it. It isn’t a true Jersey Souvenier, it was probably made by a Guido from Long Island and from another one who stole it! This summer we will go to our secret places, have fun, sun, and a brew in a peacefull quiet non crowded place, not even thinking about those people who are “trying” to wreck our state. What should you do with the ashtray? Recycle it and do some good with it rather than condemn my state.